Some photos to share of the exhibition at Ruthin Craft Centre, taken by Dewi Tannett Lloyd. Alongside myself, the other artists involved in this project were Rajiben M. Vankar, Champa Siju, Julia Griffiths Jones, Eleri Mills, and Louise Tucker. 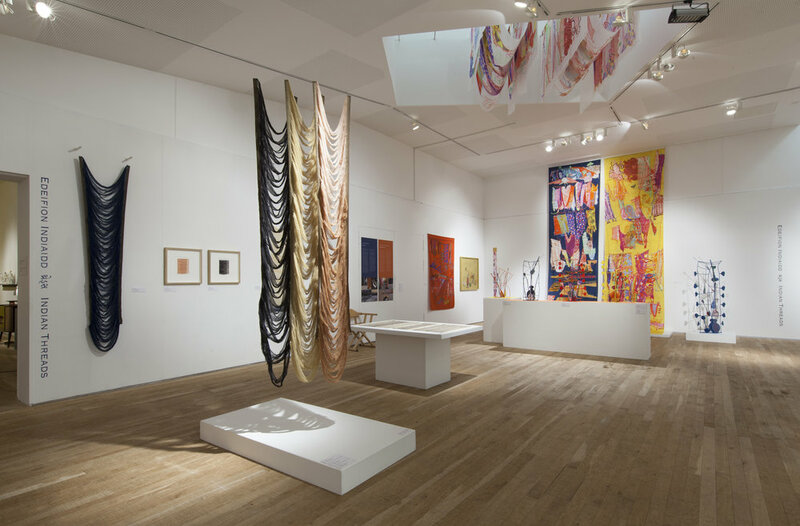 Threads is produced by Ceri Jones, Fieldwork in partnership with Khamir, Ruthin Craft Centre and Carmarthen School of Art. It is funded by Wales Arts International, British Council Wales and the Arts Council of Wales’ Creative Wales Ambassador Award.